Seeley took up photography after studying art in Boston and becoming acquainted with Fred Holland Day. Seeley became known for making highly idealized figure studies that often suggest imagery created by British poets of the Romantic movement--William Wordsworth, John Keats, and Percy Bysshe Shelley. 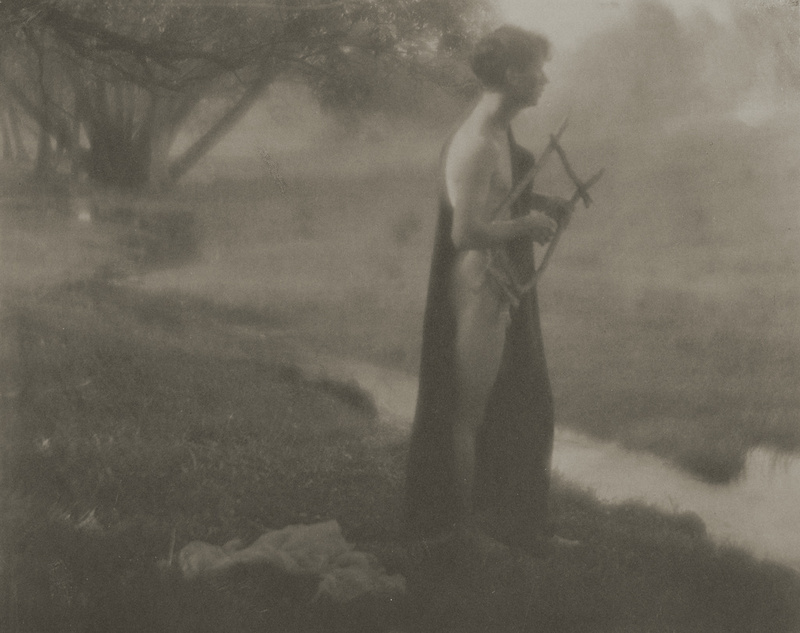 The model in this photograph carries a lyre and may represent Orpheus, a mythological Greek musician and a popular subject for nineteenthcentury poets. In his 1821 poem "Hellas," Shelley wrote: "A loftier Argo cleaves the main, / Fraught with a later prize; /Another Orpheus sings again, / And loves, and weeps, and dies; / A new Ulysses leaves once more / Calypso for his native shore."